I was greatly amused by this, but I’m also curious just how it happened. 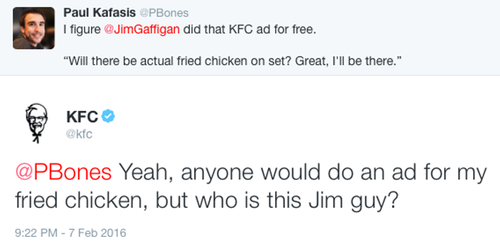 Was KFC stalking mentions of @JimGaffigan? Or are they searching for “KFC” itself? Either way, an affirmative answer is rather disturbing.